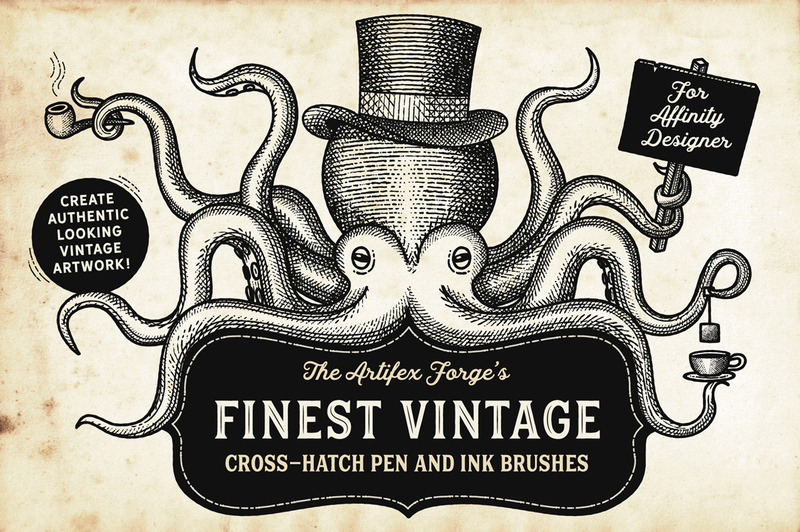 My best-selling vintage pen and ink brushes are now available for Affinity Designer! 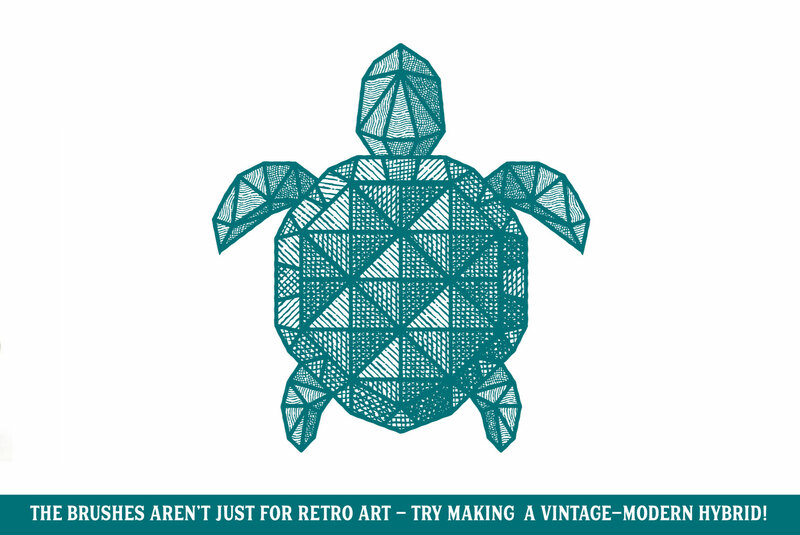 So now you can enjoy creating authentic looking vintage artwork more easily. 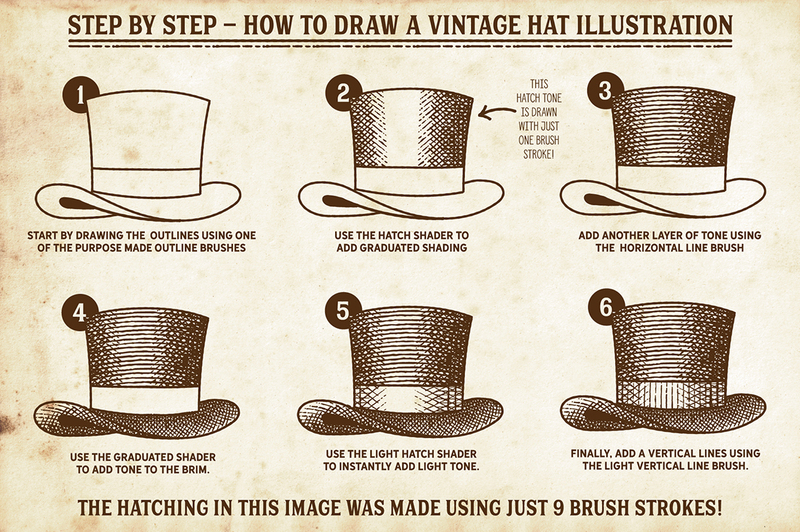 I’ve received countless requests to convert my Finest Vintage Illustrator Brushes to Affinity Designer and I’m now very excited to release this popular pack to a wider audience. So, Why is this set so popular? This exceptional anti-stretch pattern brushes seamlessly repeat a tile along the stroke rather than stretching one image along the line. This means that you won’t need to change brushes so often, leaving you more time to perfect those authentic-looking designs and classic artwork. 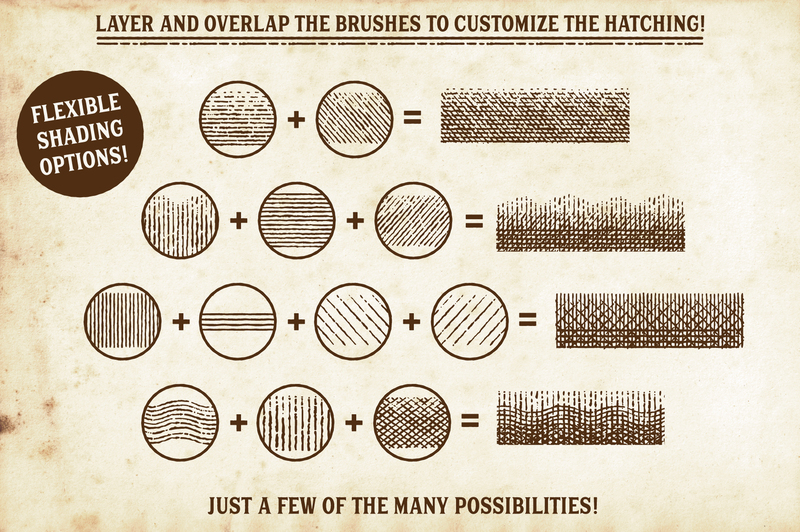 Customize the look – layer the brush strokes and give yourself, even more, hatching options. 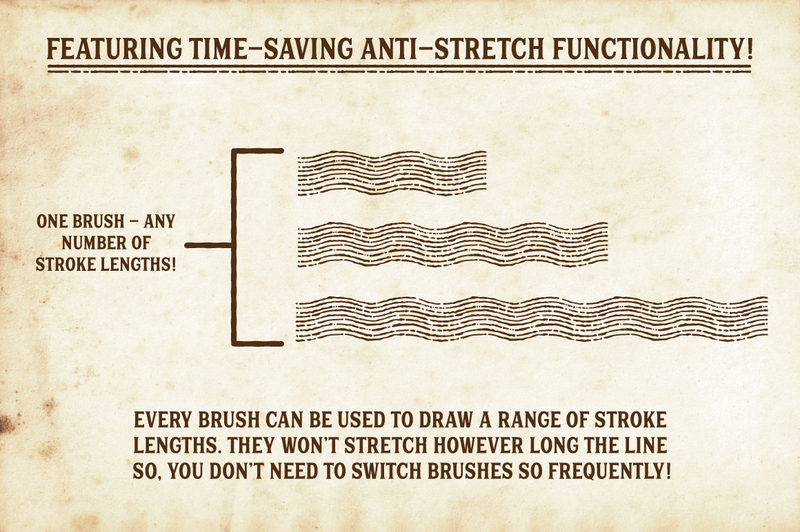 Multiple Line Brushes – you can draw multiple lines with just one stroke, saving you loads of time! 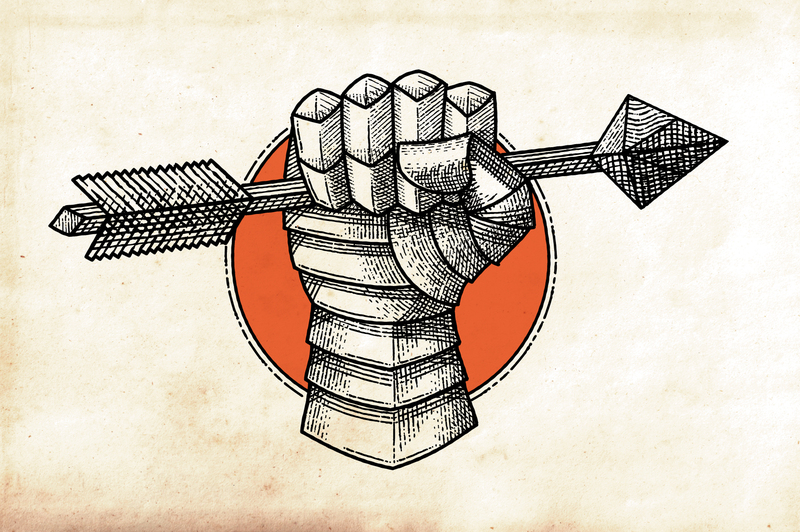 Don’t worry though, some single outline brushes have also been included. 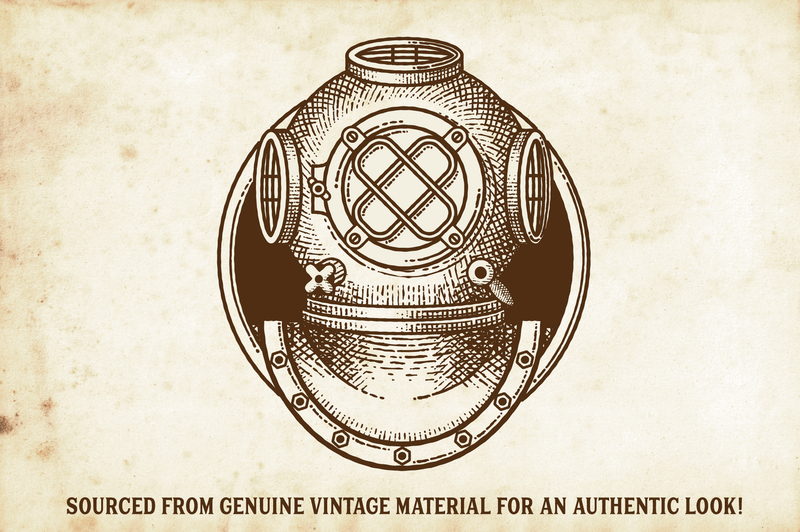 • The Brushes – A variety of authentic looking vintage hatch and outline brushes. • A quick reference .PDF guide – This will help you quickly find the right brushes for the task in hand quickly and easily. 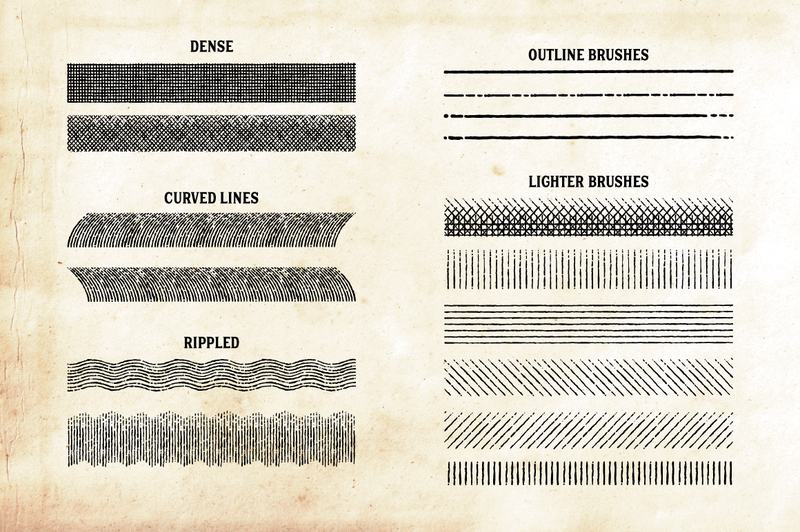 These are excellent brushes, I noticed on another platform that the illustrator version has been updated to include 10 new single stroke brushes and was wondering if this pack will be updated as well, and if so how will I know so that I can re-download the files? Yay we’re so happy to hear that you love these brushes and thanks so much for letting us know! I have just asked our Product Team to take a look at these for you and reach out to Jeremy if there is an update available for this particular pack :). You’re so welcome Candy- I’m so glad that I could help! 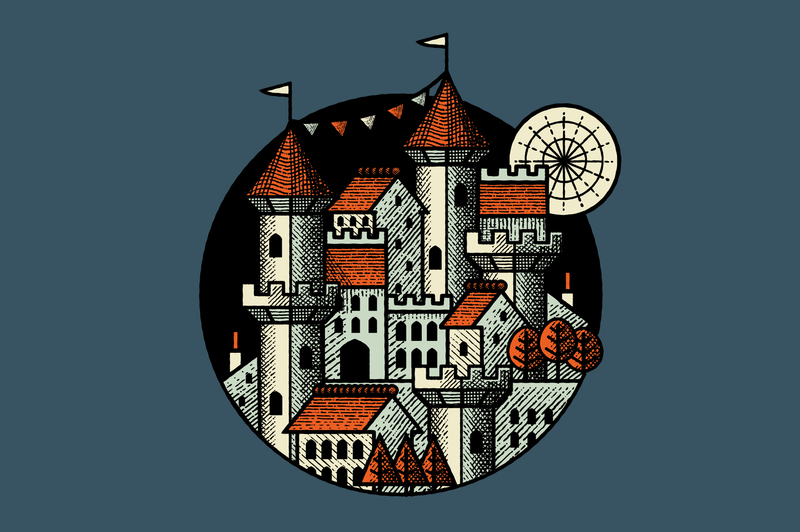 Are these raster or vector brushes? Can you mention what we will receive? Thanks! 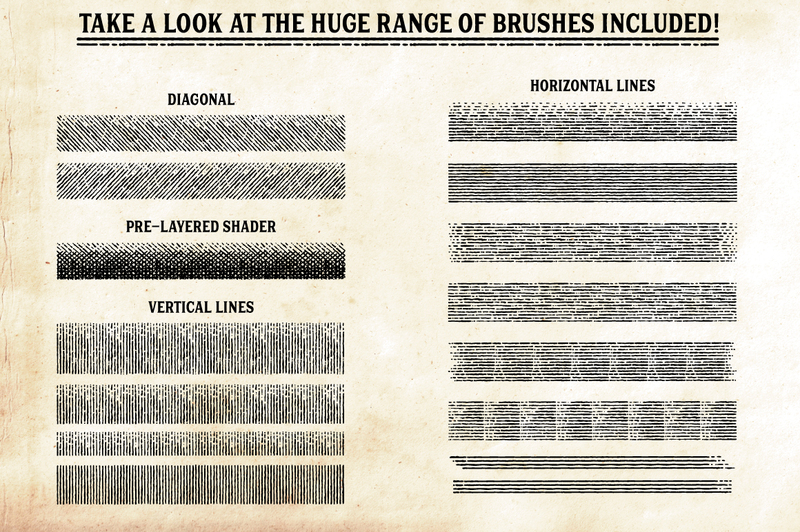 That is a very good question, so I’ve reached out to The Artifex Forge for you and they have advised that although Affinity Designer calls this type of brush a ‘vector brush’ it is actually made from bitmap material. They call it vector because it runs along a vector stroke.